← Summer Fun and Then Some…. 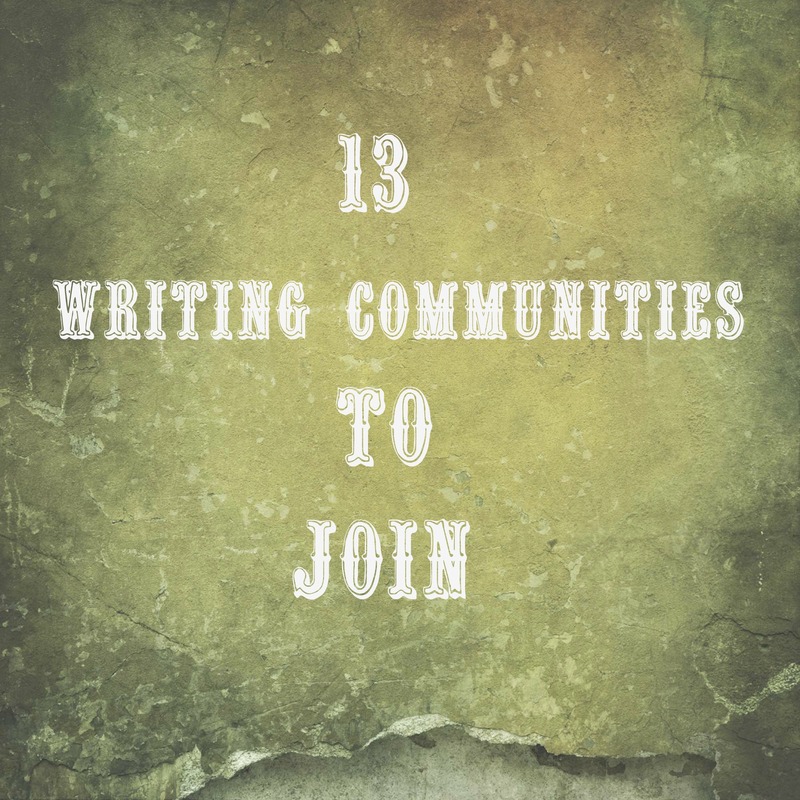 Since starting this writing journey I’ve heard time and time again about the benefits of joining writing communities. After half a year of going back and forth about it I’ve decided to squash the fear and the doubt and jump right in. Of course I got a little push from a friend who helped me see how much I was missing out, career wise, by not joining at least one group. Below I’ve listed general writing groups and genre specific Romance groups. I hope that if you have experience with any of these groups you will let me know what you think of them and if you haven’t found the perfect group to join yet maybe this will help steer you in the right direction. The official website is for everyone who wants to participate in the National Novel Writing Month every November. However, it’s not just about those crazy word filled 30 Days.In the Forum section of their website you can find groups to join for general writing support and take part in Camp NanoWriMo which, this year, runs in April and July. The website currently has over 37,114 members and can be used to find people to meet up with locally to help you obtain your writing goals. I can’t say much about this website because you need to sign up with them first before they will let you see what their site has to offer. According to their homepage they offer Critiques, writing tips and advice, and workshops and it’s all somehow based on a point system. The Scribophile Basic is Free but if you want full access and perks you need Scribophile Premium and that is $9/mo or $65/yr. Their home page also shows the following numbers 303,533 critiques served for 50,557 works and 1,116,678 posts in 45,797 threads. Find and meet other local writers that share your passion and craft. Just type in your country and your zip and it will show you the groups that already exists near you. Don’t see one? Make one. It’s Free. They currently have 246,432 members and 1,604 groups. This is a yahoo group with 144 members. It is a restricted group that you will have to request to join. It’s been around since 1999 and is still active. The end all be all place for Romance Writers (it seems). Here you can join a very large community of romance writers, authors, literary agents, editors, and publishers. You will also have access to classes, workshops, insider news and information, contests, and resources. I can’t tell you what to expect exactly because I just filled out my application and am waiting to hear back but I can tell you that General Membership is $95 with a $25 New Applicant processing fee. This is a restricted yahoo group that you will need to request to join. It has 2,360 members and was started in 2001 and is still active. These are just a few writing community websites! I know I’m joining the RWA but other then that I’m not sure which one to try first. Do you have any advice or opinions to share? This entry was posted in Writing Resources and tagged Agent Query Connect, Book Blogs, Darla G. Denton, Harlequin Community, NanoWrimo, Rom-Critters, RWA, Scribophile, SheWriters, The Romance Writers Community, Webook, Writer's Digest, Writers Cafe, Writers Meet Up, Writing Communities, Writing Groups. Bookmark the permalink. There are indeed tons of places out there to join. I’ve considered RWA. I can’t attend their monthly meeting that are local to me due to work. Once you get going in it please let me know how it is. I’m on the fence about it right now. I’m part of the yahoo groups, but I read. I don’t participate much. I’m part of writer’s café but again, don’t participate much. I’ve mainly met writers and a few readers and we cling together. Find each other via email, FB, and twitter. Love them all. They are invaluable. Writing is passion for many people. There are many websites for writers and authors to increase their writing passion and earn something from that. I know one such website which has become bridge between businesses and writers. http://writopedia.org/ is very good community of such. They are also paying very good amount to writers.